Greatland Welding and Machine Inc. is the Mat-Su Valley’s full service welding shop. Our fully equipped welding and fabrication shop, coupled with our professional team of certified welders, give us the tools, manpower, and skill sets needed to be able to weld, fabricate, or fix just about anything made of almost any material. Our 6,500 sq ft shop provides the space to handle welding jobs of nearly any size and scope. Stop by today for a free consultation for you next project. We recently expanded our capacity with the addition of a brand new state of the art auxiliary shop with 2 new spacious welding bays giving us over 6500 sq ft of work space. This addition has increased the volume of work we can handle and the size of job we can take and has allowed us to accommodate the growth and increased demand we have experienced. Our crew of professional welders can handle almost any repair or custom fabrication task, including larger orders to build multiple units such as fuel tanks or boxes. We can also handle small one off custom parts. We invite you to stop by and see what we can do for you. Our welding shop is conveniently located in the Mat-Su Valley on the Palmer Wasilla Hwy. We take pride in doing a job well done on time and on budget. Our professional welding staff can handle all kinds of steel welding repair and fabrication jobs and can fix, repair, or make any steel part or piece of equipment. We also carry a large selection of steel materials in stock and can special order materials to fit your needs. 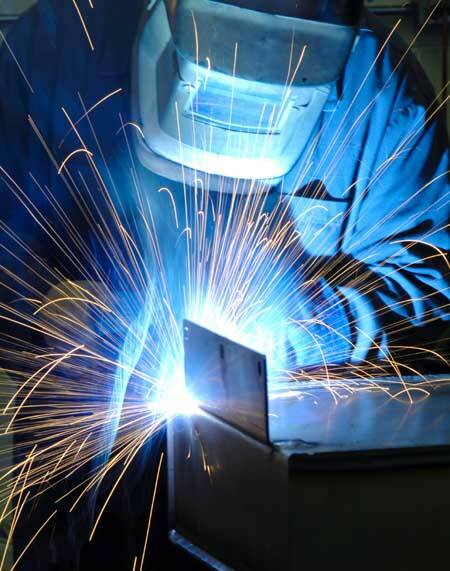 We handle all kinds of aluminum welding repair and fabrication jobs. In addition, we have grown into one of the Mat-Su Valley’s leading boat repair shops performing all types of repair on aluminum boats. We work with insurance companies doing boat damage estimates and fulfilling boat insurance repairs. We can also do all other boat modifications and fabrication including davits, cabins, transom customizations, and any other aluminum welding job. Let us help you design and weld a specific part to meet your exact needs. We can assist you in designing a custom solution or we will build something from a set of plans you provide. If there are no plans for exactly what you need our creative design team can come up with an answer to your unique welding or fabrication project.